Now and then we get calls asking why the program seems slow when generating cutting lists. Here are a few of the known reasons. 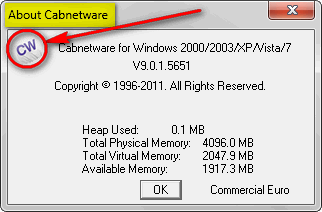 Thank you for using Cabnetware. We hope these tips will help you make the most out of your investment in our products. 1) Some people just generate the cutting list with all options selected. 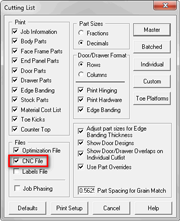 If you have CNC Files selected, extra time is needed to create the CNA file for CNC. 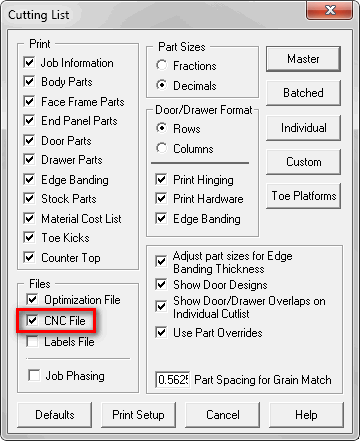 If you don’t run CNC there is no point in creating this file. 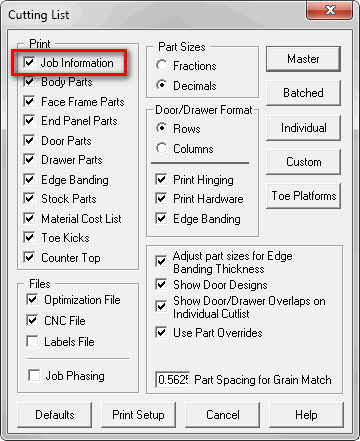 2) You might be set to create Cabinet graphic images for cabinet labels without realizing it or needing them. You would see the status bar flashing information in the lower left corner as the graphics are being created. To disable this feature in the short term, simply uncheck Job Information. 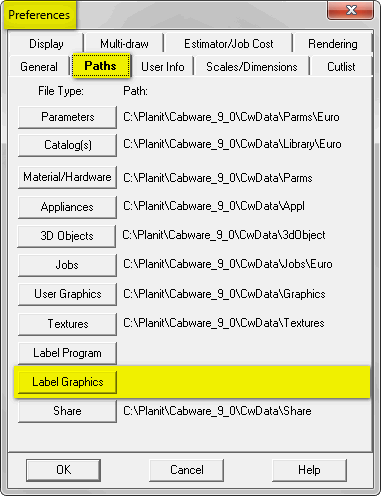 To disable the generation of cabinet label graphics in the longer term, you can make the path to Label Graphics blank in Preferences –Paths. 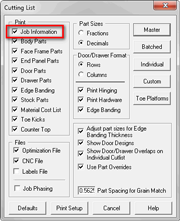 Because you can’t select ‘nothing’ in the path selection area, you need to open the INI file and clean out the information on the Label Graphics= line. Open the INI file by going to Help – About Cabnetware… and click on the CW icon. Edit the [Path Names] section, Label Graphics= line so it is blank or gone. Close Cabnetware, save the INI file and restart Cabnetware. This will result in the Path showing blank in preferences. 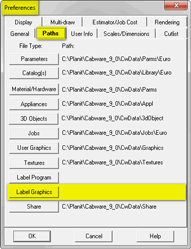 You can also make another change in the INI file to disable the label graphic generation. 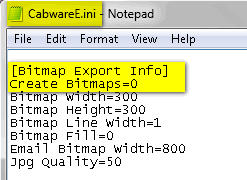 Change the Create Bitmaps= line to 0. 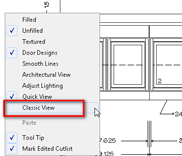 3) Changing your Display type to Classic Display View will help with speed if you are still creating the label graphics. 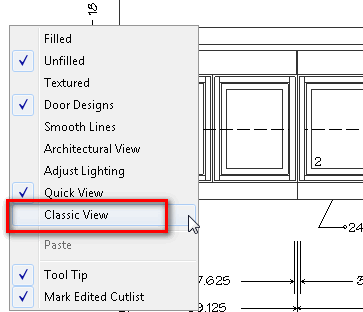 This is found on the menu when on an elevation or in the View – Display Options dialog and can also be set as a Preference. 4) If you store your parameter files on a network drive, there can be significant lag time as the program opens and closes all the files it needs for the cutting list across the network. Keeping a copy of the parameters on the local drive and setting your path to that folder may help significantly. This Tech Tip is valid for Cabnetware Manufacturing versions only.